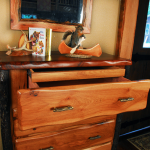 Niangua Furniture makes this solid walnut and hickory dresser with a few surprises. 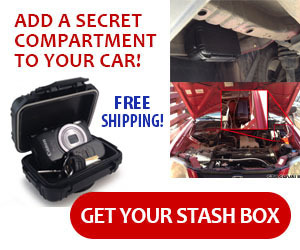 There is a hidden drawer just underneath the top for storing valuables and private items. 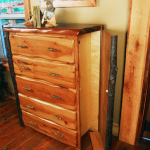 The sides of the cabinet also swing out to reveal large hidden storage areas.